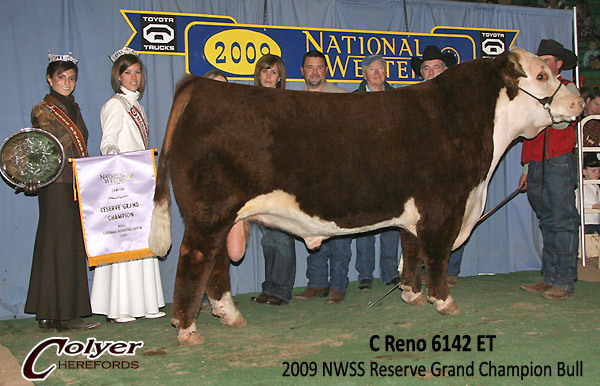 You can bet on RENO to pass on his powerful genetics. 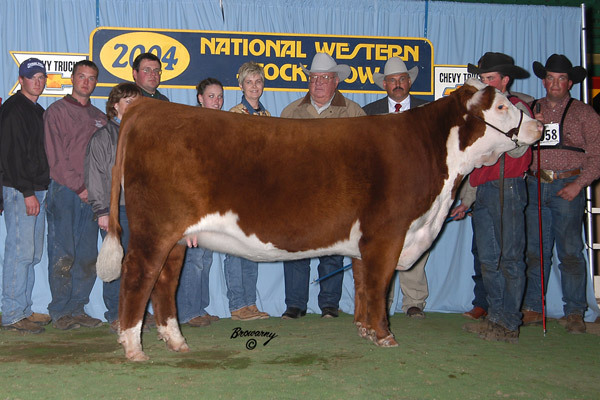 His sire and his dam were both National Supreme Champions. 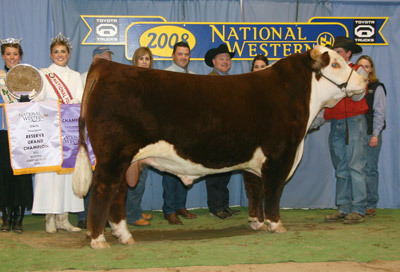 He is a thick, dark red, very clean fronted, complete made bull with pigment around both eyes. One of the winningest bulls in recent times. 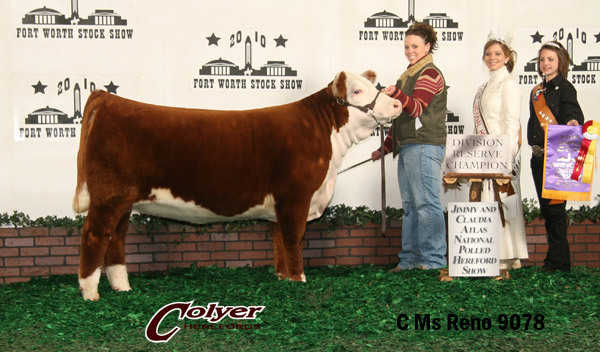 A daughter by RENO sold in the 2009 Internet heifer sale to Kendi & Seely Sayre of IL for $20,000 for 1/2 interest. 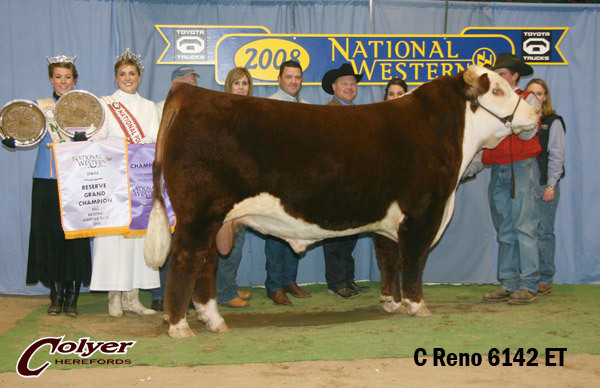 RENO produces the ranchers kind with bulls showing extra muscle and body mass. Calves are also very correct and sound on their feet and legs.